Financial ratios are tools used to assess the relative strength of companies by performing simple calculations on items on income statements, balance sheets and cash flow statements. Mainly used for accounting there are many standard ratios to evaluate the overall financial strength of a SME which is a key factor towards its survival. It is not likely that only CFO or Finance Managers will have a need to get the Financial Ratios, apart from them Ratio Analysis result is also the key interest point for the Current and Potential Stakeholders, Creditors of a Business Firm, and the Security Analysts who are associated with several Creditors/Potential Stakeholders as their Investment Advisor. Green, Yellow and Red Signals to provide you instant look & Feel of what’s going on around your Business before digging in detail. SBOeCube – Reporting & Analytics over SAP Business One provides you Dynamic Dashboards for Financial Ratio Analysis. 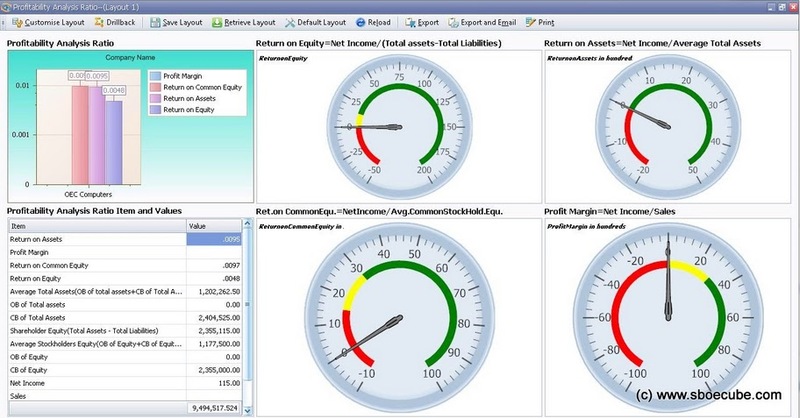 These Dashboards are dedicated for SAP Business One Users and will provide you Real Time Updates. Profitability Ratio Analysis Dashboard: – Defines your business’s ability to generate earnings as compared to its expenses and other relevant costs incurred during a specific period of time. 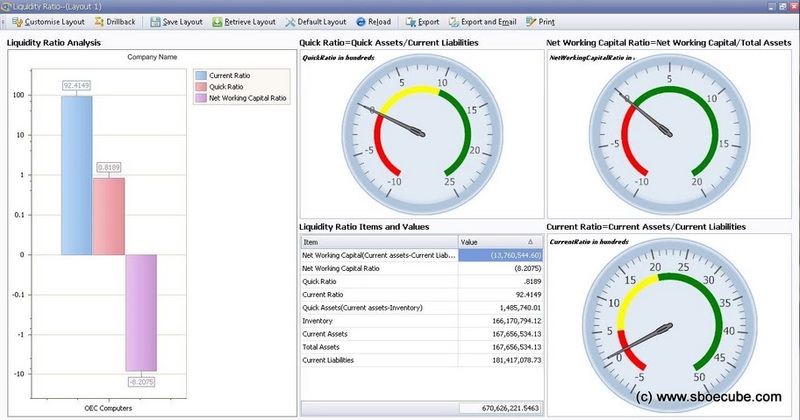 Activity Ratio Analysis Dashboard: – Analyze how well your company uses its Assets and Liabilities internally. Activity Ratios can calculate the turnover of receivables, the repayment of liabilities, the quantity and usage of equity and the general use of inventory and machinery.